During the last US presidential election, Hillary Clinton famously pulled out of a campaign event due to pneumonia. It came at a time when her Republican opponent, a certain Donald Trump, was repeatedly questioning Clinton’s ability to lead on health grounds. Clinton was caught on camera being helped into a van by secret service agents. The politician, who is now 71, was subsequently prescribed antibiotics and her aides revealed that her persistent allergy-related cough had been diagnosed as mild pneumonia. Clinton may not have won the election but she quickly regained her health and returned to the campaign trail. But what is pneumonia and how serious is it? Pneumonia is an inflammation of the tissue in one or both of the lungs and it usually caused by a bacterial infection. It causes the tiny air sacs at the end of the breathing tubes in the lungs to fill up with fluid, which can make it harder for the lungs to pass oxygen into the bloodstream. While the vast majority of people will recover from pneumonia, in severe cases it can take six months or longer to clear. In the elderly or people with serious illnesses, pneumonia is one of the leading causes of death. The symptoms of pneumonia include a cough, fever and a shortness of breath… It is usually preceded by upper respiratory tract infection-like symptoms. Other symptoms of pneumonia can include sweating and shivering, a loss of appetite and chest pain. According to the NHS, in the UK pneumonia affects around 8 in 1,000 adults each year and it becomes more widespread in autumn and winter due to the weather. The weather is one of the key triggers for many respiratory issues and this is also the case here in Dubai. “It is a well-known fact that when weather changes, it predisposes people to getting viral infections,” says Dr Mahboub. To lessen your chances of contracting a viral infections, Dr Mahboub recommends regularly washing your hands. He also advises taking a flu vaccination. “One of the most important things is to take the flu vaccination,” he says. “There is another vaccine called the nemovac. The flu vaccine is for viruses but nemovac protects you from bacteria. Despite the widespread availability of the flu vaccine, take-up can be stubbornly low. In the UK, where the flu vaccination is offered for free to more than 20 million people, such as pregnant women and people over the age of 65, in December 2017, less than 50 per cent of the people who were eligible for the vaccine had taken their free winter jab. Unlike Clinton’s episode of pneumonia, most of us are unlikely to find ourselves unwell while running for the US presidency. 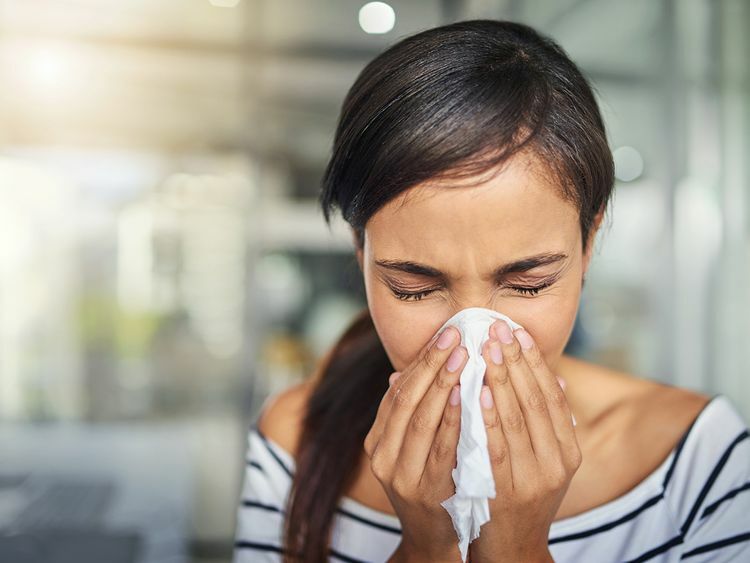 Nevertheless, by taking sensible precautions, we can significantly reduce our chances of falling victim to weather-related viral infections and pneumonia.